In this latest Dubspot Ableton Instructor Spotlight, we highlight Dot, an esteemed producer, composer, vocalist, and a member of LA’s TeamSupreme music collective and founder of Unspeakable Records. Join Dot this fall in LA to discover music production and performance. Learn how to create, record, produce, and even perform music with the industry’s leading software, Ableton Live 9. Enroll soon, the course at Dubspot Los Angeles. Register today and save 25% Off. Learn Music Production w/ Ableton Live at Dubspot LA! Join Dot this Fall for our upcoming Music Production course with Ableton Live starting November 2nd. Dot will be taking the helm as one of our resident Ableton Live instructors at Dubspot LA guiding you through the artistic journey of discovering your sound and developing it into a unique body of work. Learn valuable techniques as you complete a portfolio of original tracks and much more. Classes start soon, See Dates and Enroll Today! Dot is Kate Ellwanger, a 23-year-old producer, composer, and vocalist based in Los Angeles, CA. In addition to being the founder and CEO of Unspeakable Records (an all-female label of producers and musicians), she is an original member of TeamSupreme and Alpha Pup Records signee. Dot graduated from Chapman University’s Conservatory of Music, where she was first introduced to electronic production in a Music Technology class taught by beat guru Steve Nalepa. She quickly discovered Low End Theory and the thriving Los Angeles beat community, which began to profoundly impact her production aesthetic. While much of Dot’s work is instrumental (SQ-1, Playtime EP, Evolve or Dissolve, and Calliope EP), she recently followed the release of her latest beat tape with About Us, an EP of cover songs featuring her own vocals. In addition to her solo work, Dot produces for other artists including SZA (TDE) and Teri GenderBender (Le Butcherettes, Bosnian Rainbows), and she composes original scores for film and television networks (MTV and OWN). After debuting her first live set at Low End Theory in 2011, Dot continues to tour as both a live musician and DJ, and has graced the stages of venues and festivals such as The Echoplex (LA), The Observatory OC, Output (NY), Low End Theory Beat Invitationals, Syndicate (Singapore), as well as numerous other venues/clubs across North America. 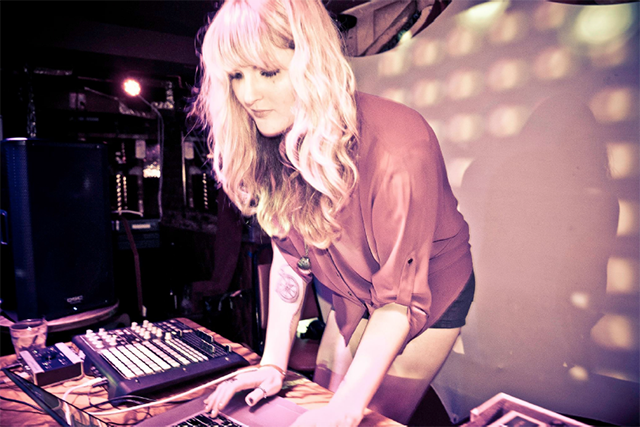 When she’s not travelling, Dot also holds down DJ residencies at LA-mainstays such as Los Globos and The Short Stop. In this installment of UnFiltered, we take a deeper look into the world of sampling via granular synthesis in Ableton Live with instructor Chris Petti. Dubspot has become the leader in electronic music education with training centers in New York City, Online, and now Los Angeles! Dubspot has come a long way since its inception in 2006, starting with a single classroom in New York City. Today, Dubspot NYC features seven state-of-the-art classrooms outfitted with the latest music production and DJ technology, where students from around the world come to learn to create music and get inspired. In 2011, Dubspot Online was introduced, revolutionizing the electronic music learning process with the same comprehensive curriculum combined with instructor feedback and student communication in an interactive environment, making learning even easier and more accessible to the world. Dubspot is proud to offer our extensive online curriculum to music production students attending the NYC or LA schools, combining the benefits of an interactive physical classroom with convenient access to educational videos, 24 hours a day, 7 days a week – This is Blended Learning! Blended Learning provides students the opportunity for more workshop activities with instructors and collaboration with peers in the classroom, while empowering them to reference complex material in the comfort of their own studios. We are proud to be pioneering this comprehensive approach to music education. « Dubspot Radio Rewind: DNAE BEATS + Exclusive Mix and Interview!